This pink wine comes from the great state of Virginia. Stinson Vineyards is run by the father/daughter team of Scott and Rachel Stinson - she's the winemaker. Located in the Monticello AVA, the Stinson's are showing that Thomas Jefferson was right - great wine can be made in ol' Virginny. Stinson Vineyards provided a sample of their rosé to me for the purpose of review. 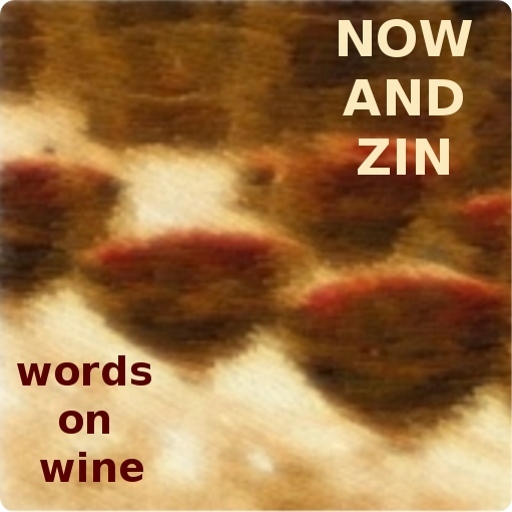 Next week the full article on Stinson Vineyards in the Now And Zin Wine Country series will run. This rosé is made from 100% Mourvèdre grapes, soaked on their skins for 72 hours, fermented and aged in steel tanks. The wine is aged for three months on the lees (spent yeast) which imparts body and creaminess to the wine. A Rhônish 13% abv in alcohol, only 220 cases were produced, in keeping with the artisanal concept of the winery. The wine sells for $17 per bottle. Intermittent rain during the 2012 harvest made ripening difficult for red grapes. The Mourvèdre - from Horton Vineyards in Virginia's Madison County - was harvested in early October, when the weather cooled and rains let up. Vineyard owner Dennis Horton is well-known to Virginia wine lovers. He planted some of the first Rhône varieties in the state in 1988. Stinson Vineyards says their Monticello Rosé is styled after the pinks of the Southern Rhône, Bandol in particular. They're not just whistling La Marseillaise, either. It looks, smells and tastes like a Rhône wine. Strawberry and cherry aromas are filtered through a significant funky earthiness, while the flavors are soaked in minerality, too. The acidity is a delight, and the finish carries a bit of smoke with it. This is a serious rosé - there is certainly no mistaking it for White Zinfandel. Thomas Jefferson would be proud.